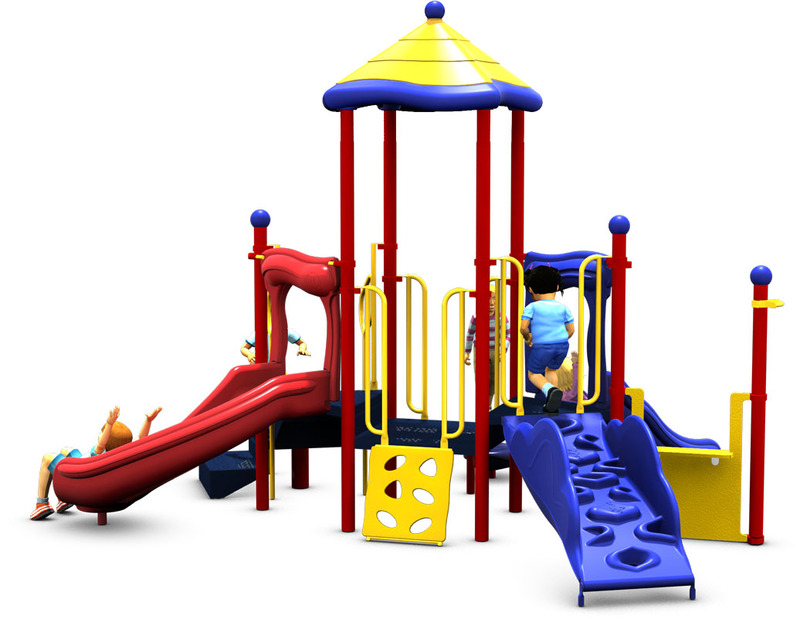 Looking for a perfect play place for the kids of your daycare center? 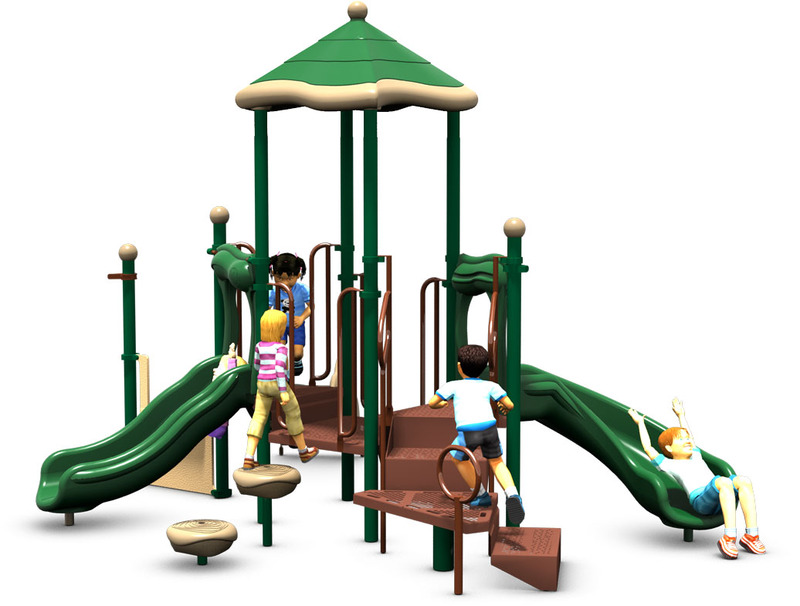 The Tried True lives up to its name, and is an ideal choice for your new commercial playground project. 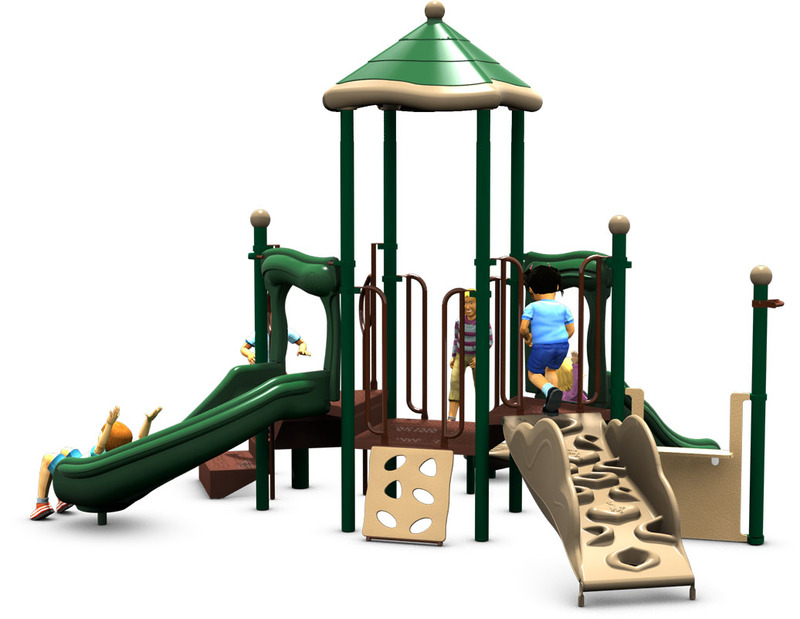 Designed to keep up to 25 children aged 2 to 5 years old engaged in healthy, creative, and imaginative play. 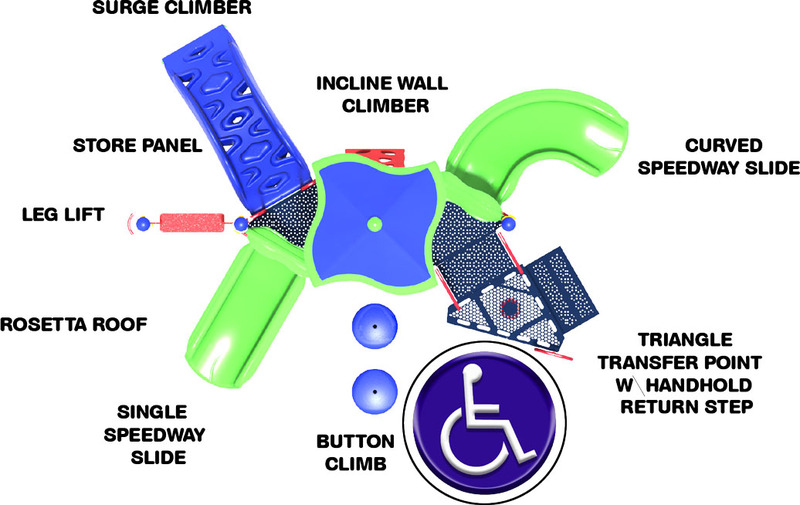 The Surge Climbing attachment and Inclined Wall Climber simulate rock climbing activities for the rambunctious kids in your group. 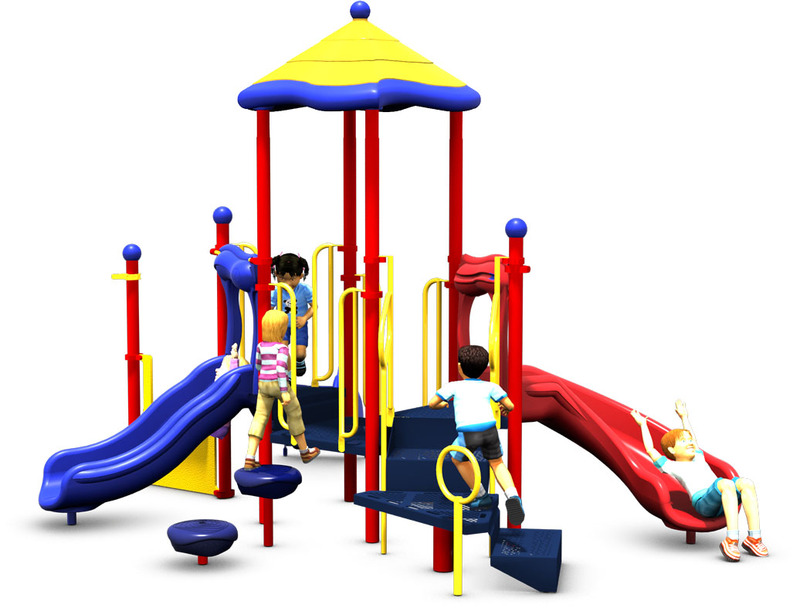 The Button Climb encourages balance and boosts confidence levels. The Tried True also houses two fun slides: A Single Speedway Slide, and a Curved Speedway Slide, for an exciting trip to the bottom. 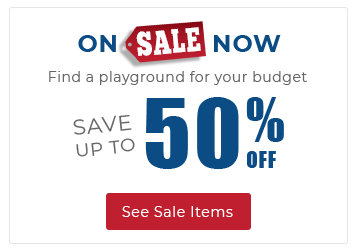 Kids can also get in involved in imaginative play with the Store Panel. And theyll be partially protected from harmful UV exposure with the Square Roof on this play structure. Upright posts, hardware, clamps, and post caps are backed by lifetime limited warranty. Metal pipes, rungs, loops, are backed by a 50 year limited warranty.